Build a bird house that might be used by chickadees, nuthatches, wrens and others. 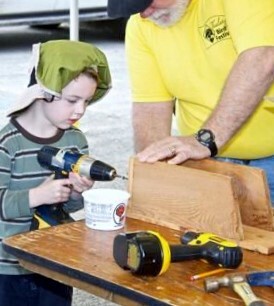 Build a bird house to take home. We have all the materials and the tools, all you need to do is come and assemble it. All ages and abilities are welcome. This event is free, but donations are appreciated. Limited quantities. Limited to building one item per person.